MxMo this month is hosted by wordsmithingpantagruel, and the chosen theme is “bein’ green” so people up there in north can remember the summer even if it freaking cold outside without a glance of sun or leaves. Shake, strain into a chilled champagne flute coral rimmed* and top with tonic water. For the coral rim, dip the flute into blue curaçao then dip into salt, remove the excess from the inside of the glass. This is into the template I discussed on next MxMo (equal parts Collins). But the nice thing is the coral rim, it’s beautiful and useful. But, you know, It’s Not Easy Bein’ Green. And I hadn’t time to guy buy a shot of Midori. I went to a friend of mine’s house to help him paint it and the only green stuff I could buy was a crap Green Creme de menthe that was awful. 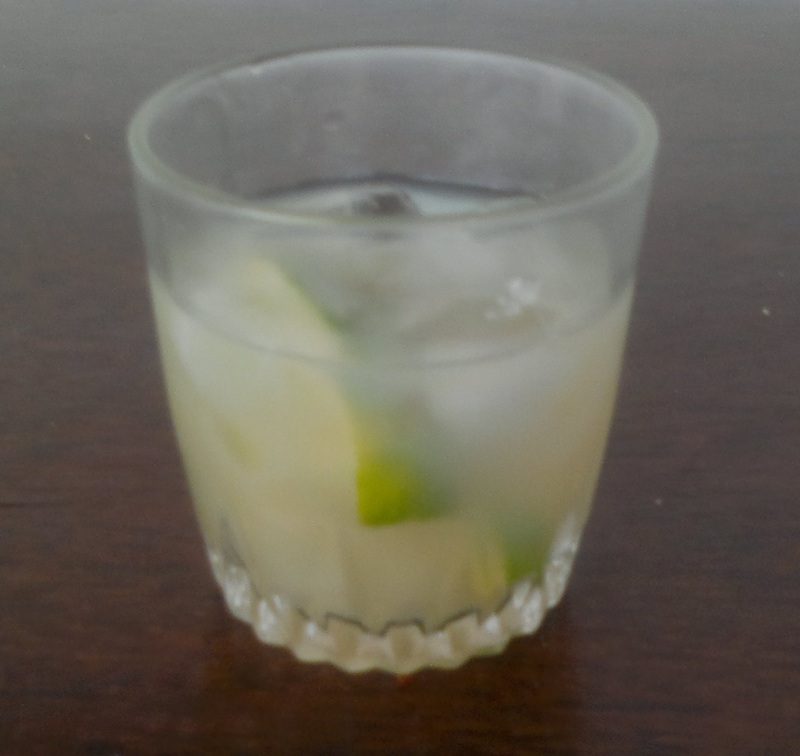 So, here’s a Caipirinha for you guys wanting to get warmed. Slice the lime from one end to the other (in half), remove the white pith (just to get more juice easily), put sugar into an old fashioned glass, put the lime with the green part touching the sugar, muddle it. Add cracked ice, put in a shot of GOOD cachaça . Enjoy! one for you, one for your lover and one for the person who pay your bills. Sound right. 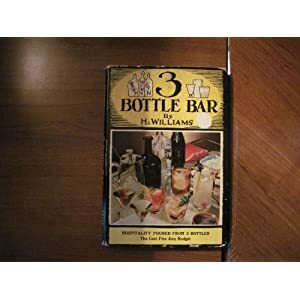 But yesterday I found this 3 BOTTLE BAR book, by H.I.Williams (1943). What a lovely book, 64 four pages, really straight: Why the three bottles, where/when/why to serve your cocktails and some pretty jokes. Gin and Whiskey can make a bunch of popular cocktails and the White Wine plays the role of vermuth, but with more advantages: makes good cocktails, cheaper and can also be served by its own. 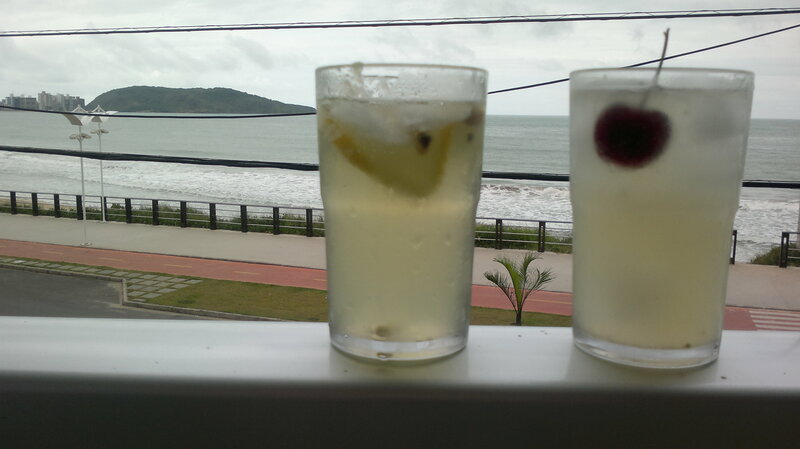 And try to keep Soda water and Ginger Ale near too. Always measure your ingredients when making cocktails, so you have a standard. And keep your bar stuff far from the kitchen, so you don’t bother who is cooking. The taste of alcohol must be disguised/diluted, otherwise you won’t taste the food you’ll eat. Stirred, strained into cocktail glass, lemon zest. I liked a lot the idea of using wine in cocktails. Rum and Scotch(for those into Whisky and Soda). It is refreshing and have a slight bitter taste in the end, just the right amount to make you want to sip it again. The soda really makes a difference. 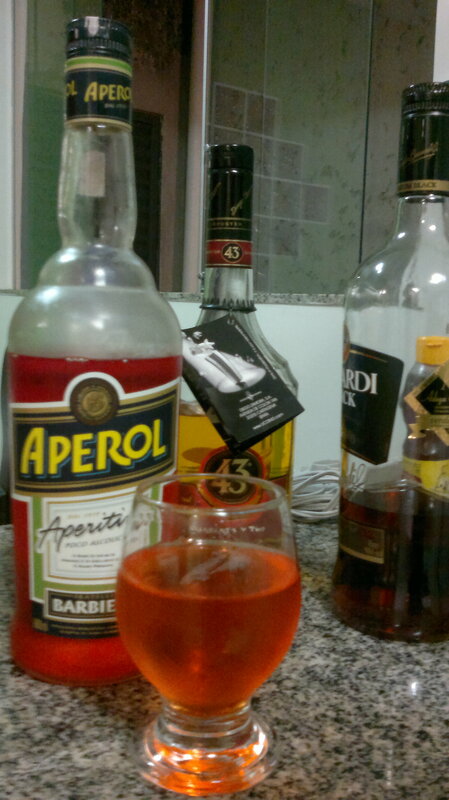 Besides that I think Prosecco is better at its own, when compared to the Aperol Spritz. The bitterness of Aperol was there and I didn’t want it. Although it was a nice cocktail still being on the sweet side, becausse I didn’t changed the vermuth to a dry one. I guess a dry curacao will be a great substitution for the Aperol, adding its own bitterness. Stir with ice, serve on the rocks with a twist of lemon. I also had a Corn’Oil, with my home made Falernum. I just infused Allspice, cloves, ginger and lime zest in aged Rum, but no almonds, and then added a rich simple syrup in it. 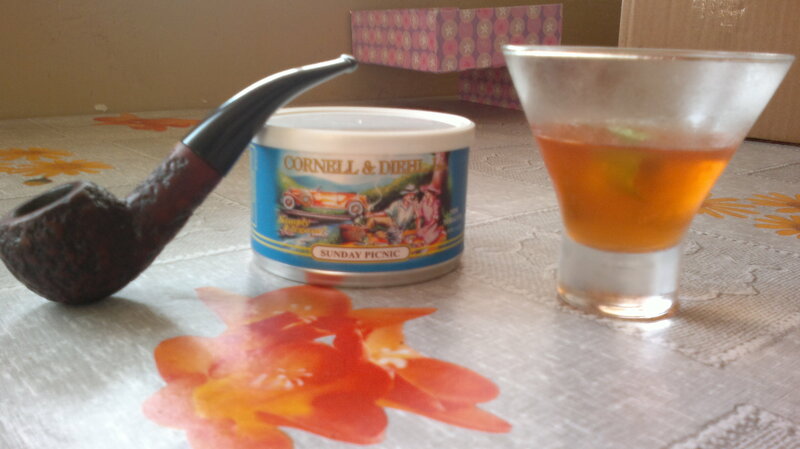 It tasted good, adding a nice spicy to the rum and I think is a nice sipper.